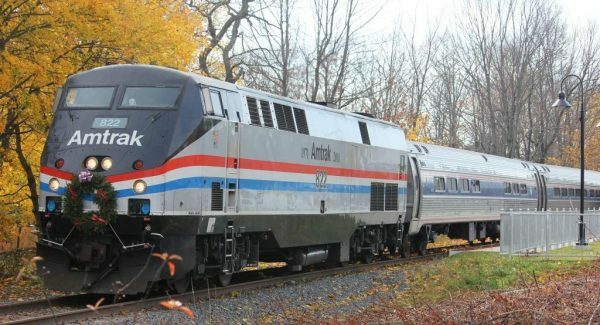 The Amtrak Downeaster is your car-free connection from Brunswick, Maine to Boston, Massachusetts and beyond. Make the most of every moment. Sit back, relax and enjoy the scenery of northern New England. Whether you’re on a daytime adventure, business trip or just going to the game, there are so many reasons to take the train.The Amtrak Downeaster operates 5 round-trips daily between Boston and Portland, with two trips daily extending to Freeport and Brunswick. Fares range from $6 to $29 one-way. Whether you’re looking for a family-friendly day trip, a culinary adventure, event tickets or a romantic weekend away, there’s a Downeaster Travel Package for you! For more information visit AmtrakDowneaster.com or call 1-800-USA-RAIL.